Anthony Kimmel (1798-1871) was born in 1798 in Baltimore, Maryland. The son of, Anthonius Kimmel (1746-1817) a prominent Baltimore merchant, and his wife, Margaret Ann [Meyers] Kimmel (dates unknown), he was educated at St. Mary’s College in Baltimore, under the tutorage of Rev. Louis William Valentine Dubourg (1766-1833), later Bishop DuBourg. After leaving college he engaged in mercantile pursuits until the age of 23 when he married Sydney Ann [James] Kimmel (1806-1848), a wealthy lady of Frederick County, Maryland, on October 17, 1822. He settled on a farm called ‘Linganore’ of which he took great pride. He participated in the defense of Baltimore and although a mere boy was in the action at North Point. He was a member of the Association of Defenders and rarely missed its annual reunions on each recurring Sept. 12th. He took great interest in military affairs, rising to the rank of Major General of militia. An earnest and zealous Mason, he was initiated in Concordia Lodge, March 19, 1819. 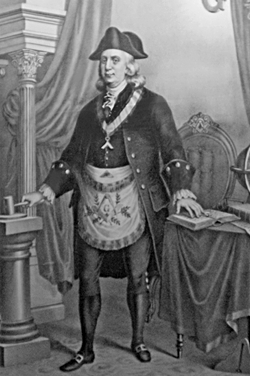 Upon moving to Frederick County, he received the second and third degrees in Lafayette Lodge, No. 79, Liberty-town, but subsequently affiliated with Columbia, No. 58. He received the Capitular degrees in Concordia Chapter, No. 1, Baltimore, and the Orders of Knighthood in Maryland Encampment, No. 1, in 1828. Some years later he dimitted and affiliated with Baltimore Commandery, No. 2. In 1832 he was elected Senior Grand Warden, serving four years; Deputy Grand Master in 1842, serving three years, and again in 1857. 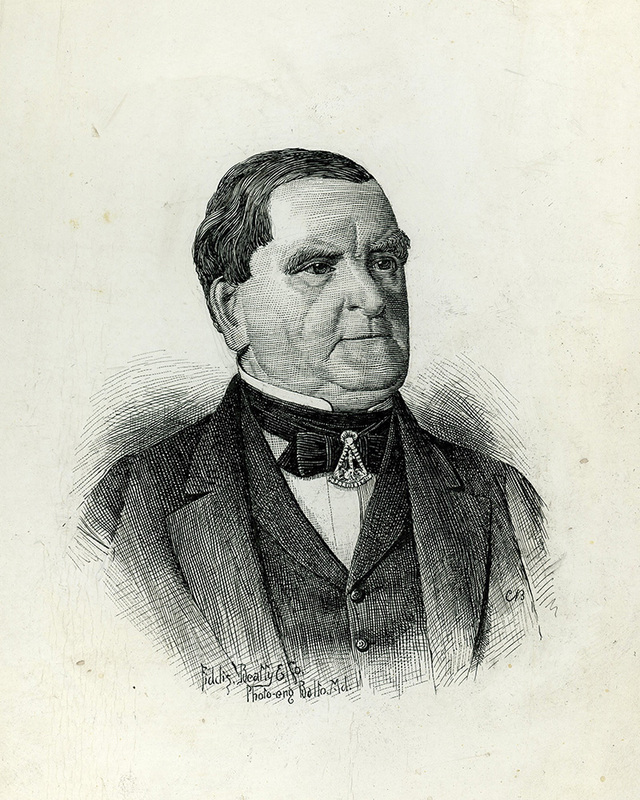 Two years later he was elected Grand Master, serving one year (1859). In 1840 he was a member of the Electoral College which elevated General Harrison to the Presidency. He made several extended trips through Europe. He was the Vice-President of the American Delegation to The Great Exhibition, held in 1851 in London, England.He was several time an unsuccessful candidate on the Whig ticket for Congress. In 1860, he was elected State Senator from Frederick County. He died at his home, Linganore, April 25, 1871. After the initial grave yard was condemned to make way for city improvements, he was reinterred in Loudon Park Cemetery, Baltimore, Maryland.